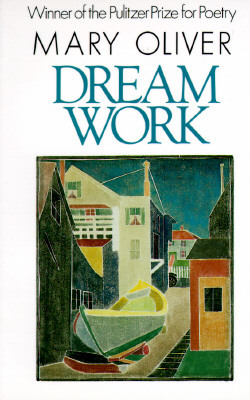 Dream Work, a collection of forty-five poems, follows both chronologically and logically Mary Oliver’s American Primitive, which won her the Pulitzer Prize for the finest book of poetry published in 1983 by an American poet. The depth and diversity of perceptual awareness—so steadfast and radiant in American Primitive—continue in Dream Work. She has turned her attention in these poems to the solitary and difficult labors of the spirit—to accepting the truth about one’s personal world, and to valuing the triumphs while transcending the failures of human relationships. Whether by way of inheritance—as in her poem about the Holocaust—or through a painful glimpse into the present—as in “Acid,” a poem about an injured boy begging in the streets of Indonesia—the events and tendencies of history take on a new importance here. More deeply than in her previous volumes, the sensibility behind these poems has merged with the world. Mary Oliver’s willingness to be joyful continues, deepened by self-awareness, by experience, and by choice. – Mary Oliver and Percy. Photo by Rachel Giese Brown.